Five Top Heart Health Strategies – An Interview with Robert D. Brook, M.D. Five Top Heart Health Strategies According to Recent Research An Interview with Robert D. Brook, M.D. 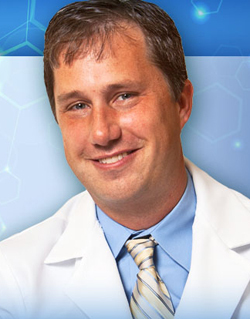 Robert D. Brook, M.D., is a cardiovascular medicine specialist and professor of medicine at the University of Michigan’s Division of Cardiovascular Medicine. He has authored over 150 peer-reviewed publications in the areas of vascular biology, atherosclerosis, cardiovascular imaging, hypertension, prevention, and hyperlipidemia. A pioneering researcher in the field of environmental cardiology, his research focuses on how air pollutants cause heart disease and trigger cardiovascular events. Dr. Brook recently served as chair of “Beyond Medications and Diet—Alternative Approaches to Lowering Blood Pressure: A Scientific Statement From the American Heart Association (AHA),” which critically reviewed the evidence supporting the efficacy of alternative mechanisms to lower blood pressure. The AHA report concluded that the Transcendental Meditation (TM®) technique lowers blood pressure and recommends that TM may be considered in clinical practice for the prevention and treatment of hypertension. Here Dr. Brook discusses the TM technique and other ways to prevent heart disease. Linda Egenes: Looking at the latest research, what are the five most important things we can do to protect our hearts? Dr. Brook: First and foremost, start with a healthy diet and lifestyle. A number of research studies have been conducted on the Mediterranean diet, so it has the most scientific evidence as being protective to the heart. Second, incorporate aerobic activity into your lifestyle. The usual recommendation is 150 minutes of moderate to intense aerobic activity a week. Both the Mediterranean diet and regular aerobic activity have been shown in numerous studies to be effective in both primary prevention (those without heart disease) and secondary prevention (those with established heart disease). Third, control your cholesterol. While many people do this through diet and exercise, there is an overwhelming amount of evidence that statins are extremely effective in the prevention of heart attacks, and they also reduce the risk of stroke. So I don’t want to downplay how important statins are—they are a central aspect of cardiovascular prevention. Fourth, control your blood pressure with lifestyle approaches and/or medications. Unfortunately, there are close to 80 million people in the United States with hypertension, and with 40% of the global population suffering from high blood pressure, it is the leading cause of mortality in the world. Fifth, never start smoking and quit smoking if you do. The interesting fact is that within six months to two years after a person stops smoking, we see a dramatic reduction in the risk of heart attacks, even in people who had a prior heart attack. Avoid exposure to secondhand smoke as well. Linda Egenes: What about air pollution? Dr. Brook: In North America we are lucky to live with relatively low levels of air pollution. While it’s still a public health issue, there is good evidence that as air pollution levels have fallen following the Clean Air Act of the 1970s, there has been the expected reduction in the risk of cardiovascular disease. Nevertheless, air pollution still poses a risk to cardiovascular health even at today’s lower levels. Unfortunately, in much of the rest of the world, things have gotten worse. Developing nations such as China, India, and the Middle East have now inherited our problem of coal power plants. On top of that, they are burning biomass (wood and crop residues) for cooking and heating inside their homes, so their pollution levels are ten times the levels of North America and Western Europe. Particulates from biomass-burning indoors is not just the cause of asthma, cancer, and chronic lung disease, but it’s a serious problem for the heart as well. With hypertension number one, the number two killer of people in the world is smoking, and number three is indoor air pollution, which includes secondhand smoke. Outdoor air pollution is the ninth leading cause of death globally. Linda Egenes: How did you become involved in the AHA committee? Dr. Brook: A number of academic physicians and scientists from the United States were invited to an AHA conference in Beijing to discuss the epidemic of hypertension in developing nations. At that meeting there was great interest in nonpharmacologic ways to control blood pressure, due to the expense of pharmaceuticals, the cost to society, and the lack of availability in some countries. So the question emerged: are there research studies to support the use of nonpharmacologic methods to reduce hypertension—beyond the well-known and well-proven successes of diet changes, weight loss, and salt reduction? Yet up until this time there had never been a critical review or statement by the AHA of nonpharmacologic, non-dietary ways to improve blood pressure. At the same time, there’s a lot of misinformation out there. So I knew this review would not only address the worldwide public health issues discussed at our meeting in China, but would also be a helpful resource for clinicians, healthcare providers, and patients in the US as well. Linda Egenes: I understand it took about two years for the committee to analyze over 1000 studies and come up with recommendations? Dr. Brook: Yes. All this information was available before, and we sifted through the large number of studies and publications across many disciplines. We also critically analyzed each alternative approach to fit the algorithm, the grading criteria, that the AHA has developed to give global recommendations based upon research. This is a formal process in the AHA and other societies, forming a writing committee that analyzes the research, writes the paper, and takes it through multiple stages of approval, including independent peer review and a final endorsement by the AHA. It took two years from start to finish, which is pretty standard for a writing committee of this kind. Linda Egenes: Can you talk about the research on the TM technique and how it stood up under review? Dr. Brook: We chose several broad categories of nonpharmacologic, alternative approaches to hypertension, including exercise, device-guided approaches such as slow breathing and biofeedback, and stress reduction approaches such as meditation. In the stress reduction category, we focused on the more recent studies of TM and other types of meditation such as mindfulness, contemplative meditation, and focused attention. Separate meta-analyses and our review of the research on TM showed a fairly clear overall reduction in blood pressure, about 4 or 5 mmHg systolic. Using the AHA’s metrics, we graded TM rather high based on the evidence. TM stood alone amongst all of the meditation techniques because of the great deal of research and corroborative evidence. There were far more studies in relation to blood pressure and hypertension on TM as compared to other meditation techniques. There also were three meta-analyses (a collection of many studies) that corroborated that TM was effective for lowering blood pressure. And in some of the more recent studies done by scientists such as Robert Schneider, M.D., at Maharishi University of Management and collaborators at the Medical College of Wisconsin, and other universities, it was shown that TM not only lowered blood pressure but also reduced cardiovascular disease itself. Linda Egenes: TM was the only meditation technique recommended in this report by the AHA, correct? Dr. Brook: Right. I would say there is a lack of compelling evidence that other types of meditation and stress reduction techniques, including yoga, are as effective in reducing blood pressure. This doesn’t mean that they don’t reduce blood pressure. It’s just that there is a lack of compelling or good evidence that they do. In comparison, there is good evidence that TM is effective in modestly lowering blood pressure. That is why it stood out and was selected amongst the meditation techniques. I say this with the caveat that as better trials are done, it may well be that some of the other techniques will be found to be effective as well. There were very few, if any, head-to-head studies that would compare the effectiveness of one type of meditation technique vs. another. In the future we’d like to be able to compare TM to other techniques to see if there is really something unique about TM as compared to other meditation approaches or general stress reduction or slow breathing. And, could this be done on a larger scale for a longer term? Linda Egenes: I’m curious. Are you a practitioner of the TM technique? Dr. Brook: No. I am not an advocate; I am not an activist. I’m not coming from the inside at all. This is an external review by somebody who is somewhat of a skeptic. The studies show what they show and the publications are what they are. I didn’t come in knowing anything about the TM technique. Linda Egenes: Sometimes studies on the TM technique are criticized when the people who are doing the studies are TM meditators. Dr. Brook: That is a generic criticism. Anybody doing the research is, of course, an insider in that area. No area of research is not subject to that same potential bias, so I reject that criticism as long as the researchers are ethical, and we assume that they are. I know that Dr. Robert Schneider and his collaborators have displayed the highest scientific integrity in their research at Maharishi University of Management, the University of Iowa College of Medicine, the Medical College of Georgia in Augusta, the Medical College of Wisconsin, and other research institutions. Linda Egenes: Since doing this research, do you recommend TM to your patients? Dr. Brook: Absolutely. A population-level reduction of 5 mmHg systolic is a profound 10-15% reduction in heart attacks, strokes, and cardiovascular disease. At the same time, I don’t want to overstate the effect of TM on blood pressure, which is modest but still helpful. It’s a good adjunct for people who have mild hypertension or upper-normal levels, what we call pre-hypertension. Or it can be helpful as a supplement for people who have intolerances to blood pressure medications, or who aren’t at goal on one or two medications and don’t want to add a third pill.